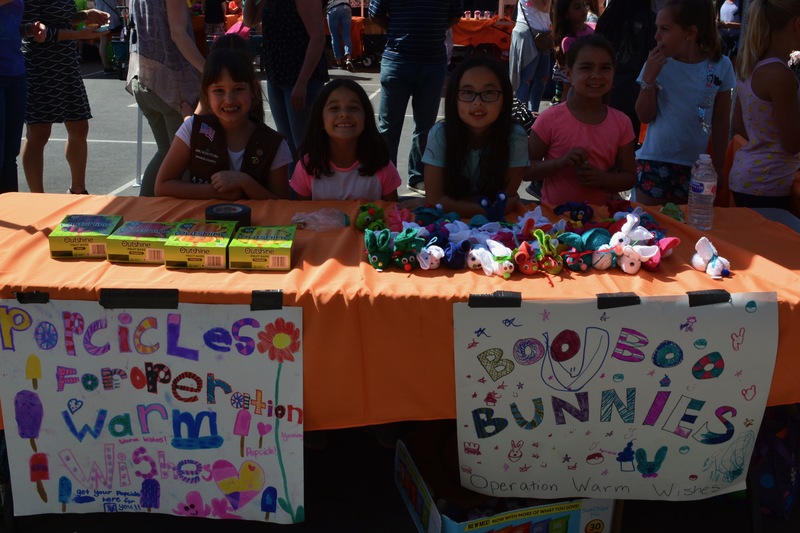 Our Girl Scout Troop made Boo Boo Bunnies out of towels to sell at our schools Ripple Fair. We also sold popsicles. We made $210 which we chose to give to Operation Warm Wishes. We got the idea when we found out that Operation Warm Wishes is a local organization that helps kids and families in need in our city of Tustin. We found out that there are kids our age that are living in cars and Operation Warm Wishes helps them have a hotel to stay in until they can get back on their feet. At our girl scout meeting we made Boo Boo Bunnies out of towels, ribbons and google eyes. Then we made 2 posters to talk about Operation Warm Wishes and what we were selling. Then we should them along with popsicles at Our School Ripple Fair. We raised $210 for our Charity, Operation Warm Wishes. We had fun making our Booboo Bunnies and posters and we loved selling them. Our money we raised is going to help kids that need clean clothes, groceries, a place to stay and many other things that Operation Warm Wishes does for people in need in Orange County. We learned that we can make a difference in our community by selling something we make and giving the proceeds to a great organization. We learned that their are 2nd graders that may not have clean clothes to wear or a place to stay and that we can do service projects like this that can help them. We learned to be more compassionate to other kids and people because we don't know their circumstances. These kids could be at our school and we may not even know it.